Celebrating a romantic getaway in Paris for Valentine’s Day is an opportunity to rediscover the beauties of the capital and its romance at every corner. Introducing the most romantic places in Paris to visit as a couple. The banks of the Seine offer wonderful walks for sweethearts, taking you through the different districts of Paris. 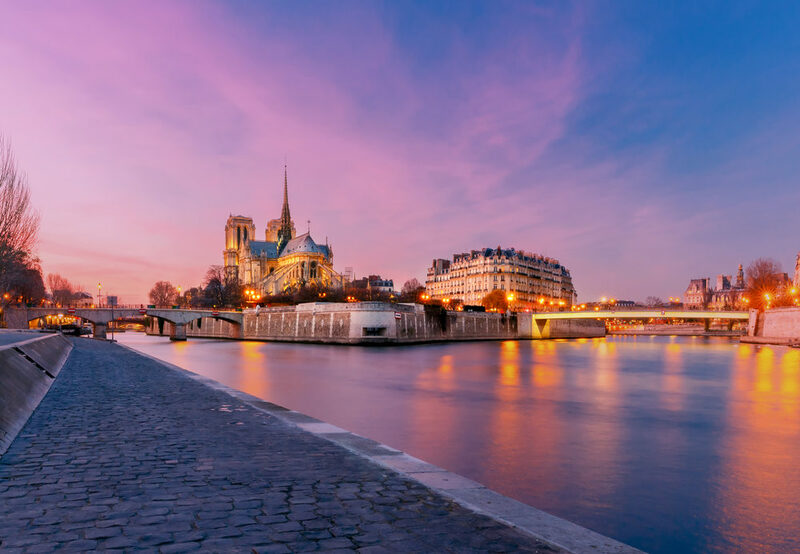 And if you and your other half aren’t in the mood for walking during this chilly month of February, you could choose an unforgettable cruise on the Seine instead. The river boats will show you the capital in a new light, and some offer a romantic meal. Stroll through the most famous museum in the world, under the peaceful gaze of the Mona Lisa. Admire the works of art that have survived the centuries making the most of the romantic arcades of the museum to declare your love. Who said that “culture” couldn’t be “romantic”? Leave the rukus of the city behind and take a breath of fresh air in one of the many parks of the city. The Monceau Park, the Luxembourg Garden, the Garden of Plants and many others surround you in lush greenery, flowers and birds for a special moment. This wall is a must for couples if you’re near the Montmartre hill. It’s located in the Jehan Rictus garden square, place des Abbesses, in the 18th arrondissement. You’ll be able to gaze at 311 “I love yous” written in 250 different languages. Take your sweetheart to a Parisian cabaret show for a one of a kind Valentine’s Day. You’ll be blown away by the glitter, glamor and acrobatics. If you want to go to the most popular cabarets in the city, such as the Moulin Rouge or the Crazy Horse, we do recommend you plan ahead. Need advice organizing your trip to the most romantic capital in the world? Aloha welcomes and guides you for an unforgettable stay in Paris.